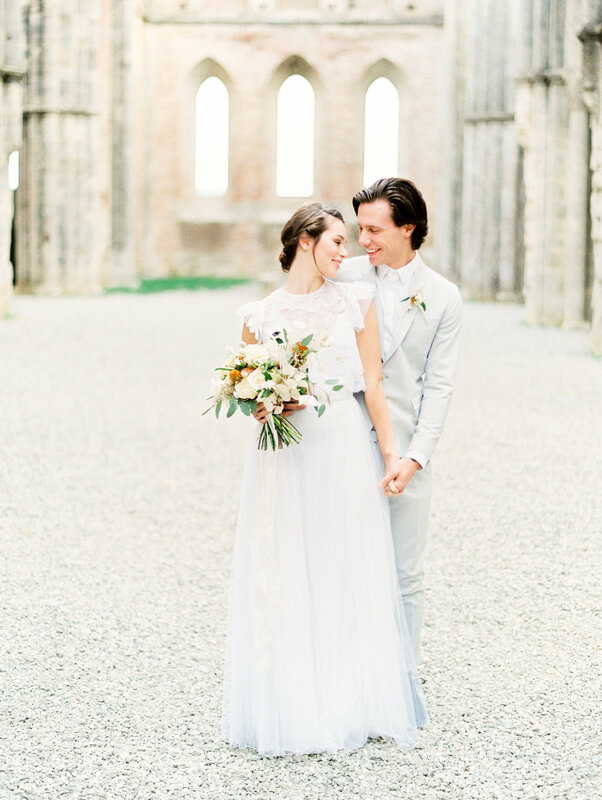 In the heart of Tuscany, I was able to pair up with the wonderful Laura Bravi Events for a Romantic wedding Inspiration. 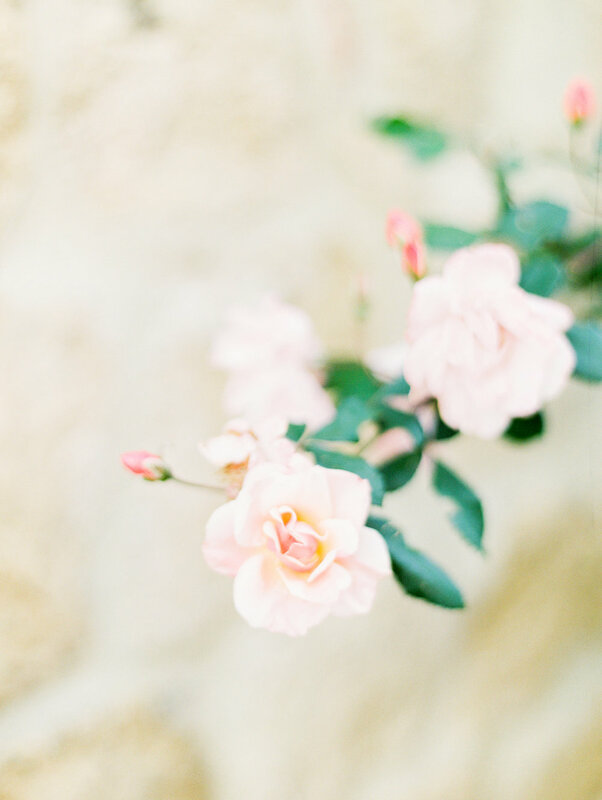 Her beautiful words to follow of the day explain the time perfectly: This shoot was inspired by a very soft and romantic atmosphere which called for organic decor. Fall was tinting the Tuscan hills with golden strokes, and nature was the muse that inspired the color palette of creams and golden hues we used. 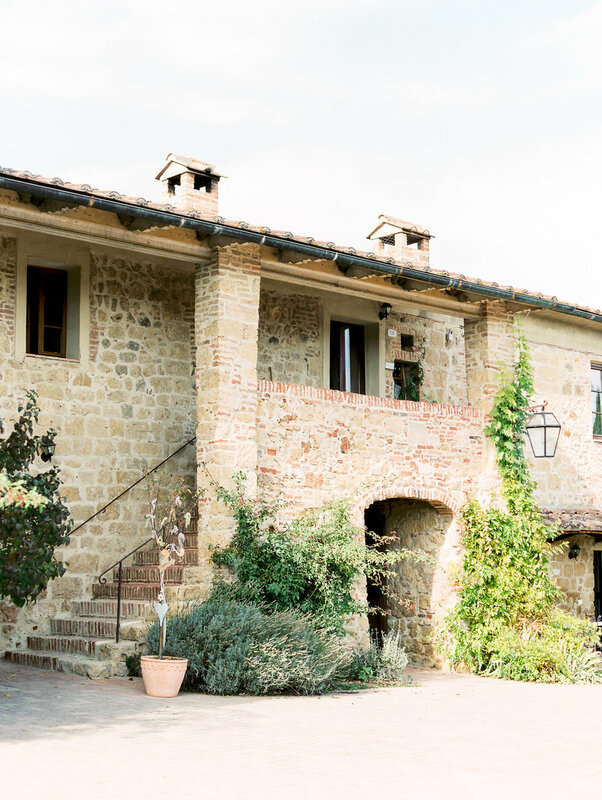 The venue, Tenuta di Papena, inspired us with its simple, rustic-yet-refined aesthetic and its amazing view of the countryside. The venue is also located just minutes away from the magnificent, 13th century, roofless San Galgano Abbey – the perfect place for a special ceremony. The other elements we incorporated were tied to Italian craftsmanship. Italy has a tradition of great artisanal production, and despite being a young couple, we imagined our bride and groom being old souls, appreciating a lovingly handmade detail and choosing small brands and artisans for their wedding attire and decor. The bride's dress is an artisanal piece created by Silvia Moretta. Light as a feather, romantic and fresh, it fit our bride perfectly. She was a vision of grace. The groom's suit is another artisanal piece, created by Linneo Archivable Clothing. A non-conventional cut and a warm light gray fabric complemented the color palette perfectly and made for a very comfortable groom. The rings were designed especially with the warm light of Tuscany in mind – the engagement ring features a pink sapphire, and the design of the mount is inspired by designs of the past with a contemporary spin. All rings were made with red gold by Luca of My Golden Age lab, chosen to complement the warm color palette. The stationery pieces by Grigiocielo studio were a work of true love. The designers hand embroidered vellum paper and calligraphed each piece, creating something so delicate and never seen before. The flower design by Sofia of Il Profumo dei Fiori brought together the inspiration and added that botanical and romantic touch. For the ceremony setting, she created an installation that emulates nature, a frame for bride and groom that appeared as if it was already there, just waiting for them. A sweet favor was placed at each table setting – a tin of the historical sugar candies, "Pastiglie Loene," to send guests home with a touch of Italy's heritage, tradition, and style.